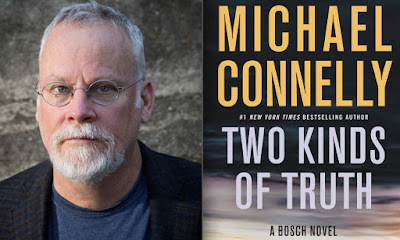 I’ve been reading Michael Connelly’s crime thrillers that feature an LAPD detective named Harry Bosch for a good number of years and I’ve reviewed several of the crime novels for the Washington Times and the Philadelphia Inquirer. I’ve also enjoyed watching Bosch, the Amazon series based on Connelly’s novels. 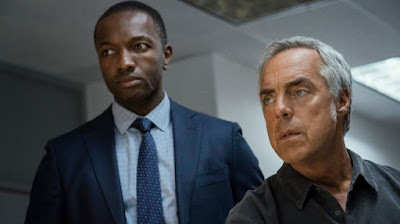 Verne Gay at Newsday offers an interview with Titus Welliver, who portrays Bosch, and Jamie Hector, who portrays Bosch's partner, Jerry Edgar. “Bosch” may possibly be the best show on TV at the moment that you’re not watching. Literary and propulsive, it’s a brainy cop thriller that gets no Emmy love and little critical notice for the simple reason that there’s too much else on TV. My own amends begin now: In separate interviews, I spoke with series stars Titus Welliver — LAPD Det. Hieronymus “Harry” Bosch himself — and Jamie Hector, who plays his partner and friend, Det. 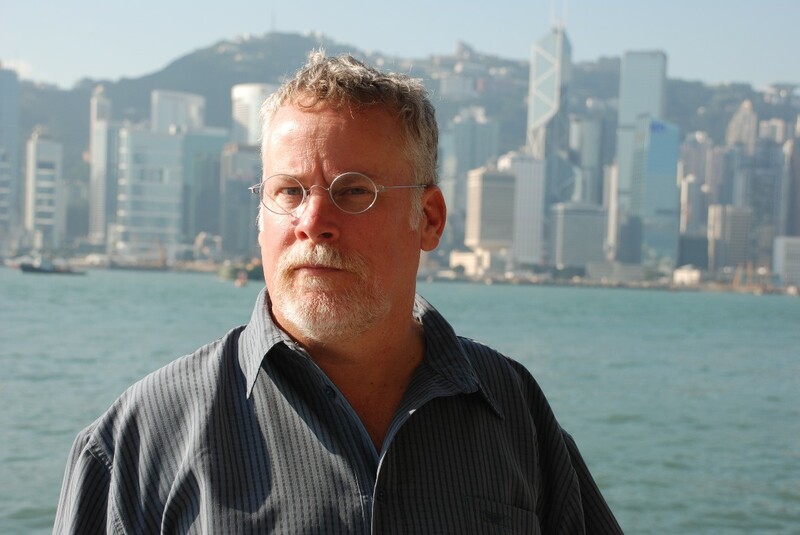 Jerry Edgar. “Bosch,” about a cop’s obsessive search for the killer who murdered his mother decades earlier, is based on the bestselling novel series by Michael Connelly that launched in 1992 with “The Black Echo.” The fourth season of “Bosch” drops on Amazon Friday (and season 5 has already been ordered).